The “Best of Peru, Bolivia and Chile” travel suggestion is designed to give you a cultural feel and visual feast of three of the most intriguing countries in South America. From the Peruvian city of Lima you will head to Cusco, the heart of the former Inca Empire. Cusco is the gateway to one of the biggest highlights of this tour, Machu Picchu. Then it is onto Lake Titicaca to see the man made floating reed islands and the families living on them. Next you will cross the border into Bolivia and the highest Capital City in the World, La Paz. 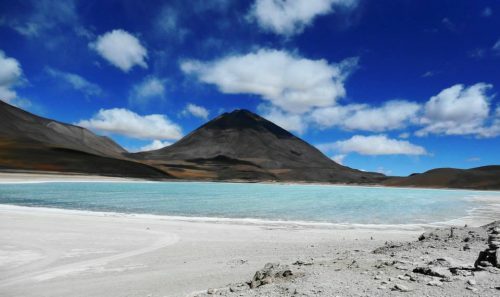 From here stunning landscapes of Bolivia’s Salt Lakes await. 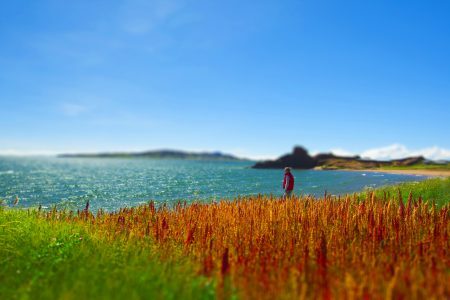 We cross the border into Chile and journey to Chile’s Atacama Desert and your tour ends in the Chilean city, Santiago. The daily highlights of this exciting suggested travel itinerary will no doubt entice you to come back to explore Peru, Bolivia and Chile further! The below tour is fully flexible with departure dates and can be modified to your own personal travel preferences, please contact us for obligation free enquiry. Day 19 Depart Santiago for your onward journey / next adventure! After breakfast there is a half day tour to explore Lima’s ancient history with its historical sites and museums. Peru’s capital is a rich kaleidoscope of colonial architectural jewels, charming residential areas, and vibrant shopping districts perched over the blue Pacific. Explore these many facets, including the 16th century Plaza Mayor (Main Square) – still graced by the Government Palace and the City Hall. You will also visit the Cathedral and the San Francisco Convent, built in the 17th century, and its “Catacombs” ancient underground cemetery of Lima. 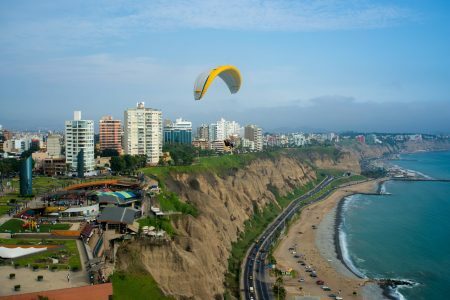 The tour continues along the city’s lovely Pacific coast through the enchanting neighbourhoods of San Isidro, Miraflores and Larco Mar. After breakfast, your guide will transfer you to Lima airport for your flight from Lima to Cuzco. (Lima-Cuzco flight is not included in package price). When you arrive into Cuzco airport you will be met on arrival and transferred to your Cusco hotel. 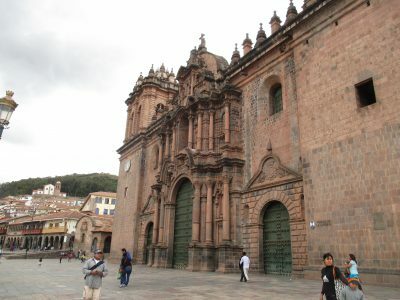 Cusco was the capital of the Inca Empire and has an elevation of 3400m above sea level. We recommend you spend the rest of first day in Cusco at leisure to allow your body to adjust to the altitude. It’s an early start to the day with a half day sightseeing tour of Cusco. The tour today takes you to visit the Korikancha (Temple of the Sun), the Cathedral, and then continuing onto the nearby archaeological sites of Tambomachay (Inca Fountains), Puca-Pukara (the red fortress), Qenko (Scared site) and finally the famous gigantic Inca fortress of Sacsayhuaman. Spend the night in your hotel Cusco. 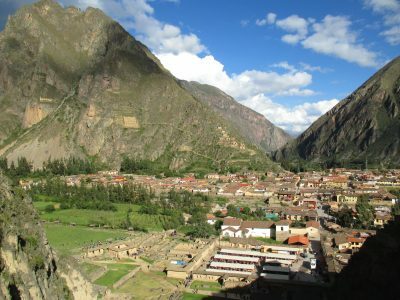 Today you will have a full day sightseeing to the Sacred Valley of the Incas. The Scared Valley is home to some breathtaking towns and sites including Maras, Moray, the fortress of Ollantaytambo and Pisac. 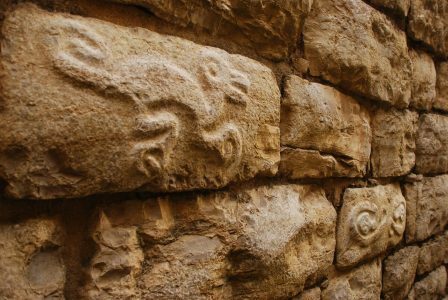 Seeing these ruins and visiting the towns will enlighten your knowledge of just how sophisticated the Incas were and an insight into their ancient way of life. Tonight you will stay in the Sacred Valley so you can enjoy more of the sights at your leisure and perhaps visit the colourful market of Pisa. Your full day Machu Picchu tour starts off with a transfer and train to Aguas Calientes for your bus ride up to Machu Picchu, this is an excellent option for those who do not have time to hike the Inca Trail or wish not to. On arrival in Machu Picchu your sightseeing tour of the ruins and entrance fee have been included so you can enjoy Machu Picchu from the moment you arrive at the gates. Soak up the significance of your visit, enjoy the beautiful location and marvel in the intellect and architectural ability of the ancient Incan culture. It is amazing and spectacular just how appropriately located Machu Picchu is in its complimenting surroundings. 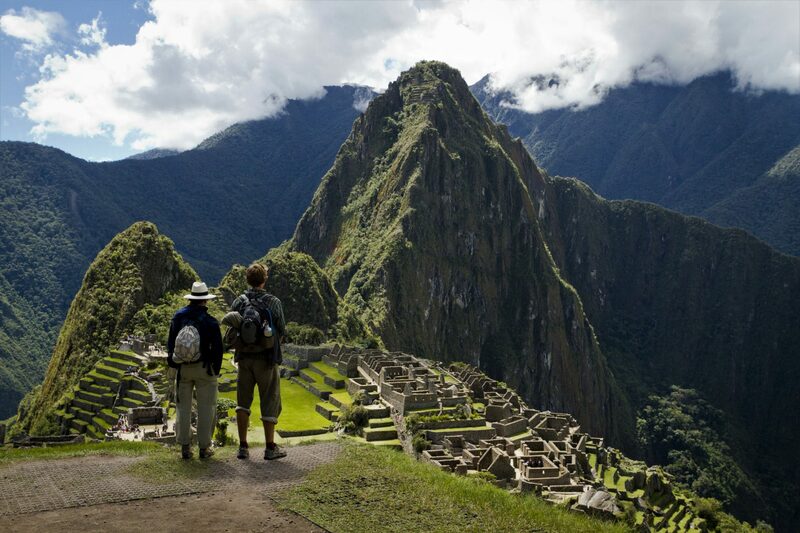 The Inca Trail Walk can also be arranged for those wishing to experience the beautiful hike to Machu Picchu. Due to Machu Picchu’s popularity with all travellers, we suggest that you go back for a second visit early the following morning before the trains arrive with the day tours. Spending time in the lost city of the Incas, soaking up the atmosphere without the crowds is a real spiritual experience. Hotels are located in Aguas Calientes and there is also an option to stay at the Orient Express Hotel at the entrance gate into Machu Picchu. Please advise if you would like us to quote for this. After a full day at Machu Picchu, you will be taken to your hotel in the Machu Picchu region to spend the evening at your leisure. After a relaxing morning in Machu Picchu or Aguas Calientes, we will take you back by train to your Cusco hotel. On arrival into Cusco you have the remainder of the day to relax, dine, wander through the colourful markets or get last minute souvenirs to remember your time here. This morning after breakfast your guide will transfer you to the coach terminal for your coach to Puno. For an additional cost you can upgrade this to a train ticket from Cuzco to Puno. When you arrive into Puno you will be met and transferred to your hotel where you have the remainder of the day at leisure. This city is located on the shore of Lake Titicaca and has been named as the ‘Capital Forklorica del Peru’ (Folklore capital of Peru) from its wealth of artistic and cultural expressions particularly dancing. The hotel we have selected offers some views of Lake Titicaca. 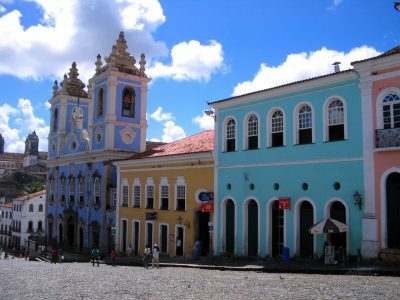 After an overland transfer to Copacabana and visit the Sanctuary and the local market. Hydrofoil cruise to Moon Island, visit the Sun Virgins Temple Iñak Uyu. 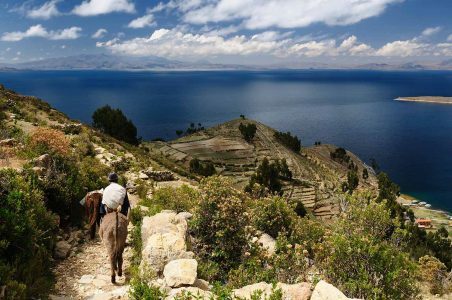 Continue to Sun Island, visit the Inca Staircase, the sacred fountain and taste the sacred water believed to give eternal youth & happiness. Lunch at “Uma Kollu” archaeological restaurant and visit a picturesque handicraft market. Hydrofoil cruise to HuatajataIn Huatajata experience the “Andean Roots Eco Village”: Visit the Altiplano Museum, where a state of audio system will explain in your own language the cultural heritage of the Aymaras and the Incas, the colonial time and Jacques Cousteau Expedition to Lake Titicaca. Handicrafts and fisherman villages, the Mud Igloos of the Urus Chipayas; meet the Limachi brothers, builders of the RA II and Tigris for Thor Heyerdhal epic expeditions across the Atlantic Ocean and much more. Bus transfer to La Paz, the road is running parallel with the Royal Range of the Andes. When you arrive on the Bolivia side of the border you will then be transferred to your La Paz hotel. When you arrive into La Paz you will be amazed of the landscape in which the largest city in Bolivia was created. This city sits adjoining onto the canyon and overlooks the snow-capped mountain of Mt Illimani. Even through La Paz is not the capital of Bolivia it is; however, the largest city for commerce, finance and industry and its regarded as the highest national capital in the world. Overnight La Paz. This morning your guide will meet you at the front of your hotel for your day tour of La Paz taking in the attractions and cultural aspect of this city. Your guide will first show you the Indian markets which also include a spooky witch market, the San Francisco Basilica, Murillo square, the Government Palace and national congress, the Metropolitan cathedral, and the Gold, Local customs, Murillo and Litoral museums. After lunch your guide will take you to the south of the city where you can see the difference between the old and new central city; with the new cities 30 floor sky scrapers and modern shopping centers where traditional Indians and office personal in Armani suites are making this city really colorful. Coming further down to the south the climate also changes in more warm and green areas. The difference between central La Paz and the South can be sometimes 1000 meters! That’s the reason that the rich live in this part and the poor people in the colder, higher suburbs known as ”El Alto”. La Paz is the Government’s home town and often named by mistake “highest capital of the world”, because the official capital city is Sucre. We will leave the city for a visit to the Moon Valley. Beautiful, by erosion formed landscapes in a little park where the Big Andes Honey Bird flies over your head (if you’re lucky). After breakfast your guide will transfer you to the airport for your flight from La Paz to Uyuni in Bolivia (the La Paz to Uyuni flight is not included in the package price). Flights from La Paz to Uyuni do not fly every day but we can arrange your journey to fit the flights. 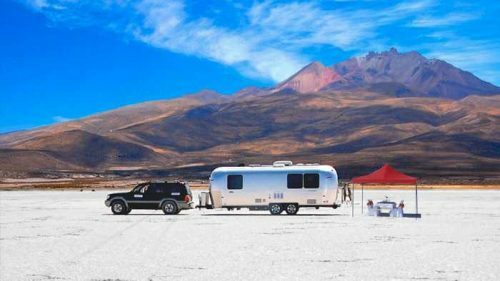 Spend one night in Uyuni before embarking on our Salt Lakes journey. Uyuni is situated in Bolivia’s south western corner and can be cold in the evenings, however despite the cold Uyuni has the Bolivian ‘happy go lucky’ attitude and atmosphere. Your guide will meet you at your hotel in Uyunifor your adventure through the Salt Lakes to the Chilean border. We visit Colochani, host to numerous micro factories of salt, the famous salt hotel and fish island for some local cuisine. After lunch we continue to Tahua for the Mummy caves of Coqueza. The remainder of the day in Tahua is at leisure. After breakfast we start with a short road trip to the Red Lagoon and then view the Chiguana salt flat and the Ollague volcano! After a hearty lunch (perhaps try the local produce) we visit some wildlife areas before continuing onto Ojo De Perdiz for the night. 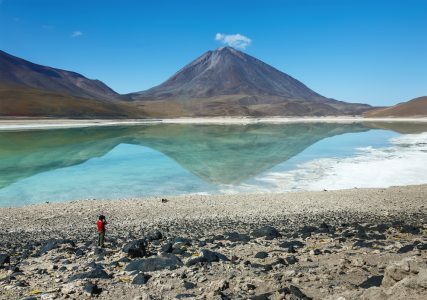 Day 14: Salt Lakes tour (3 days) Ojo De Perdiz to Chilean border – San Pedro De Atacama. It’s an early start this morning when we leave before breakfast for Ojo de Perdiz to visit the Stone tree, Geysers (volcanic zone) and hot springs! After breakfast we continue to see the green and white lagoons before heading to the Chilean border. This is the end of our journey through the Salt Lakes of Bolivia. 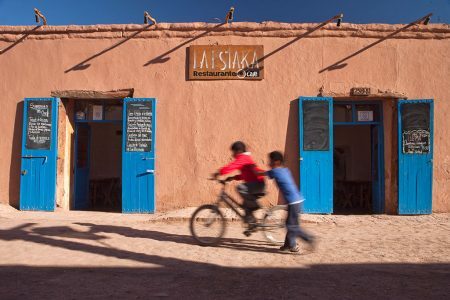 After crossing the Chilean border a coach will take you to the town of San Pedro de Atacama. 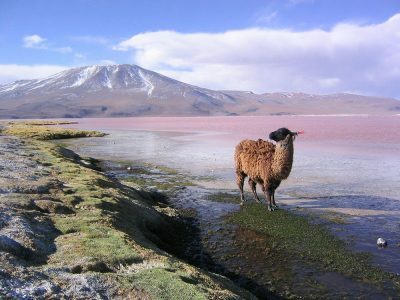 You will be picked up at your hotel in San Pedro and whisked away to explore the lagoons of the Altiplano. You will be driven south on lonesome unpaved roads to visit the town of Toconao. Additionally you will explore the largest salt lake in Chile part of one driest deserts in the world. The Salar de Atacama is formed by a series of salt basins stretching beyond the horizon. It is dry and barren but it is one of the most spectacular and dramatic landscapes on earth. It is home to various species of flamingos as well as many other birds. The Laguna Chaxa, part of the Flamingo National Reserve, offers a terrific opportunity to get a close up look at the surrounding landscape. After lunch you will continue south and reach an altitude of 4.700m where you will be rewarded with spectacular views of the incredibly scenic blue-black twin lagoons Meñiques and Miscanti. They are edged by a white crust of salt and surrounded by imposing volcanoes. Enjoy the majestic scenery and the total peace and silence of this special place. 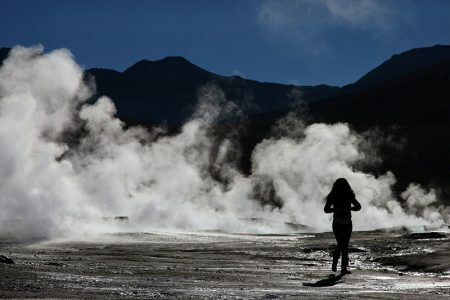 Before dawn break you will depart from San Pedro and head north to the famous El Tatio Geysers; a geothermal field flanked by soaring peaks. El Tatio is situated at 4.300 m / 14.108 ft. above sea level on the Altiplano. It is the highest geothermal field in the world and boasts spectacular scenery. You will need to make sure to bring warm clothes as temperatures at this altitude are considerably low this early in the morning. At dawn you will observe powerful spurts of steam that shoot out from various geyser blowholes and steaming ponds that are encrusted with brilliant salt crystals reflecting the metal-blue sky. If possible (depending on the current activity of the geyser) you can take a bath in the hot public thermal pools. After this nice visit to El Tatio you will be transported to the village of Machuca known as the resting place for llama caravans that traveled the Inca Highway. This morning after breakfast your journey through San Pedro de Atacama ends and you will be taken to the airport by coach for your flight from Calama to Santiago (the flight from Calama to Santiago is not included in the package price). When you arrive into Santiago you will be met on arrival and transferred to your hotel in the heart of the city. On arrival check out the impressive high-rise architecture and modern city life. Located in the center of Chile it is a main gateway to many South American attractions. As with any capital city, it is loud and full of bustle but don’t be put off, this is a city of culture and character aplenty, and home to over 5 million people so you should be able to find everything you need in this modern day city. The hotels we have selected in this package are centrally located and close to some fantastic Chilean cuisine, don’t forget to try out the wine from this region. 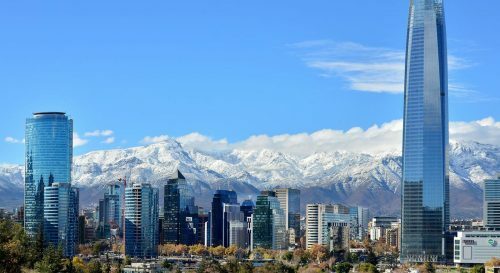 To understand and appreciate this underestimated city we have included a morning city tour of Santiago. The tour includes the Bernardo O Higgins Avenue running east west and dividing the city into two main parts; the providencia district and its commercial center Balmaceda park, San Cristobal hill and the metropolitan park, the forestal park. You will also visit the fine art museum, Plaza de Armas with the Cathedral and Town Hall. Further down is the oldest part of the city with uniquely constructed mansions. On this tour we will include the exclusive Union Club, the National Library and the central Santa Lucia hill. After breakfast your ‘Best of Peru,Bolivia and Chile’ tour concludes with a transfer to the airport. Price based on two adults travelling together.